It's moving toward the end of the school year, which means a lot of sports, clubs, and classes are wrapping up. There's always a wonderful sense of accomplishment this time of year, as well as an acknowledgement that students are moving on and making the most of their lives and opportunities. A certificate is great for promoting and sharing that feeling with others. The 20 new certificates at FreePrintable.com celebrate excellence, achievement, and participation with colorful borders, ribbons, and official-looking seals. With minimal effort, these certificates can be printed out on sturdy cardstock, framed, and put on the wall of a home or office. 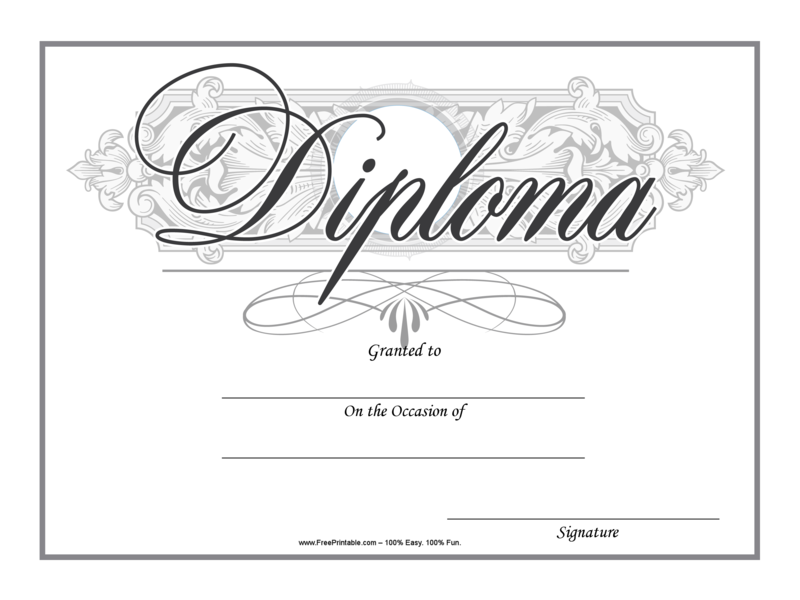 For specific occasions, there are also diplomas and anniversary certificates.